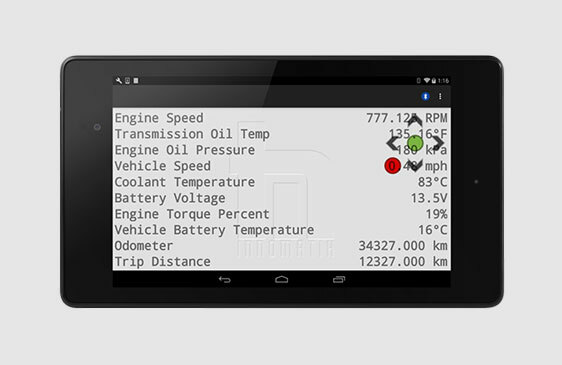 The display for Android™ allows you to view more data parameters at once than our fixed display. The device pairs with the DAP and works with the DAP-III out of the box (an upgrade is required for it to work with the DAP-II). The application for Android allows the user to scroll through all of their parameters and provides a button to trigger manual data captures. Use this display to verify that your configuration contains all needed parameters for your test or to monitor data collection when in the vehicle.